Longhorn cattle have been roaming North America for more than 400 years now and are one of the strongest breeds of cattle around. The strengths of this breed reflect the rugged natural survival requirements they’ve faced throughout the years. Coincidentally, many of these are characteristics that make them unique and highly desirable cattle in today's environment. 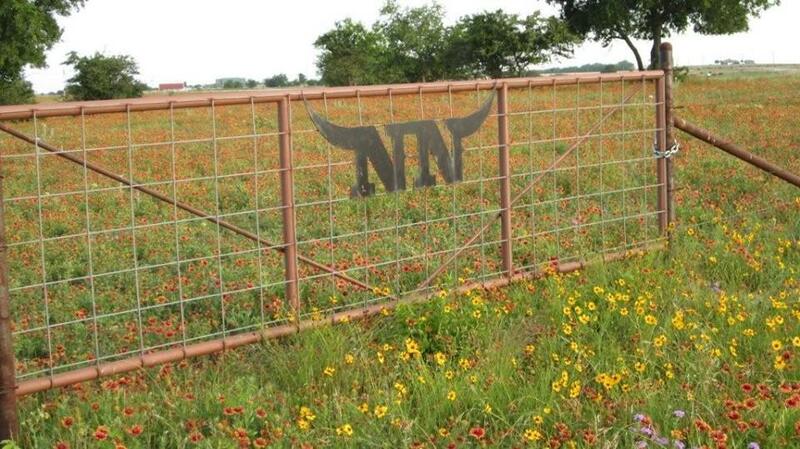 Established in 2004, Double N Cattle Company is a breeder of registered purebred longhorn cattle in Muenster, TX. 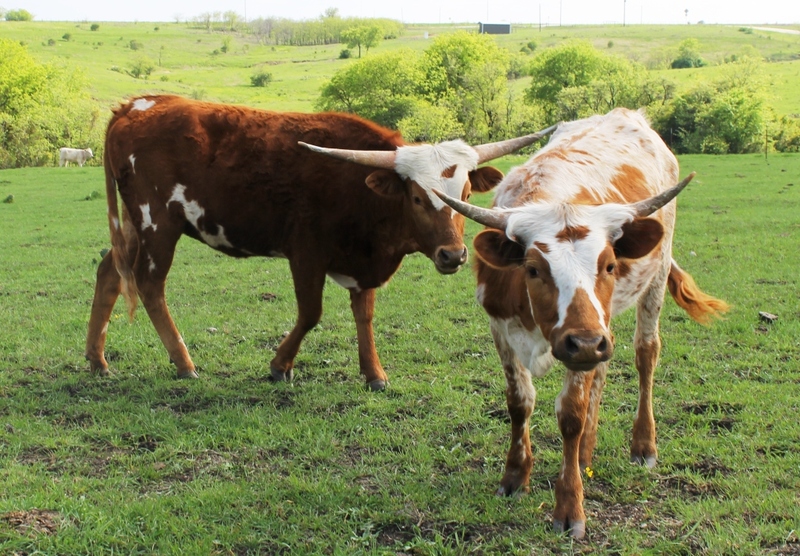 Known for their longevity, Longhorns are said to typically live well into their teens, early twenties, and have twice the production capacity than other breeds. Our females not only have milking capabilities that are unsurpassed, but they also make excellent embryo recipients. With a twenty percent greater pelvic area than most breeds, they have little, to no trouble calving. Nature has also imbued purebred longhorn cattle with excellent milk producing udders. Since calves may be your primary product, it is evident that the more calves that can be birthed by a mother cow, the lower the rancher's cost for replacement inventory. Our Texas Longhorns are known for their high fertility and live birth percentages because we breed them using our registered longhorn embryo program. Using our herd sires, we use artificial insemination to impregnate our females using some of the best herd sires in the industry. This year we began our embryo program, concentrating on the embryos of the 80" brindled cow, NN Sarita. Please enjoy perusing our website, and feel free to contact us by phone or email if you require more information about our company. We keep a wide price range of cattle to assist new as well as established breeders with the purchase of our stock. As well, we offer free cattle delivery to any destination within 100 miles of our ranch. We also deliver outside our area for very reasonable rates. Contact us at Double N Cattle Company for more information on our purebred longhorn cattle and the embryo program we run. We proudly serve Muenster, TX, and the surrounding areas. We have lots of young heifers for sale.